England was absolutely more than I could ever ask for. I have been to London, to the south in Devon, to the north in Chester, and to the phenomenal countryside in Yorkshire. I have seen medieval churches, ancient Roman remains, and pubs that date back to the Domesday Book of 1086. I have eaten Devonshire cream teas, Cornish pasties, and full English breakfasts complete even with a bit of black pudding, and I liked it. My two week venture felt like an accelerated Summer term at Portland State University! Considering all the splendid things that are England, the memories that I smile at most are the ones that involve spending time with my new family thanks to my boyfriend. 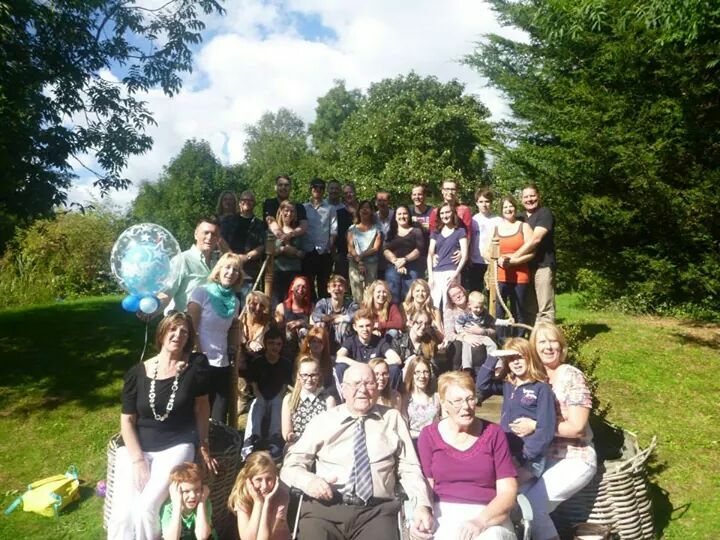 From watching a movie around a cozy fire at Grandma’s house, spaghetti bolognese at Uncle Graham’s, a blast to the past in Huyton [the town where my boyfriend grew up] to the 90th birthday party for the man who is responsible for most of this very large and very loving family [seriously, all are not pictured]. Nevertheless, I am glad to be home and anticipating and preparing for another rigorous year at PSU. The most important thing that I gained from this trip is a reminder that in the coming endless hours of studying, gallons of caffeine and white nights that any college student will undoubtedly endure, I will always remember to make time for family and friends. At the end of the day, all we truly have are the people in our lives. How will you make time for your family and friends this school year? Sharon, what a beautiful post! It was so wonderful to share that precious time with you in our homeland. I am so glad that you are part of our family! It was a pleasure to share a few brief hours with you Sharon which enriched our lives with your visit to Devonshire. It was lovely to meet you Sharon and I can honestly say I have never seen anyone so thrilled to watch a steam train! Lovely words and so true, thank you for this.